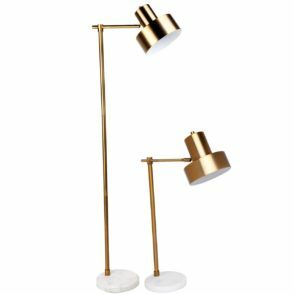 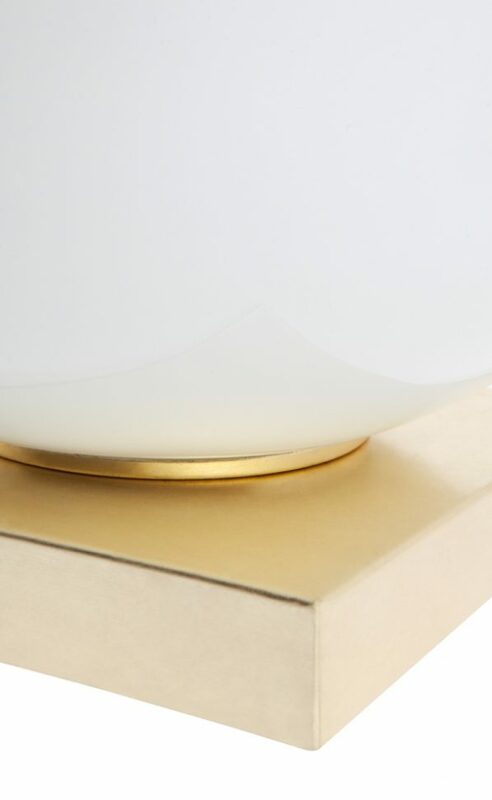 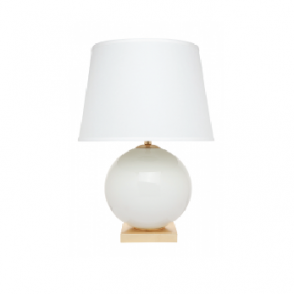 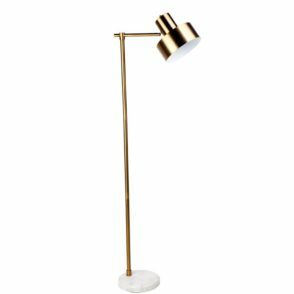 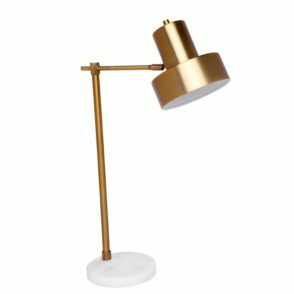 Perfectly proportioned white table lamp, sitting atop a clear antique gold base. 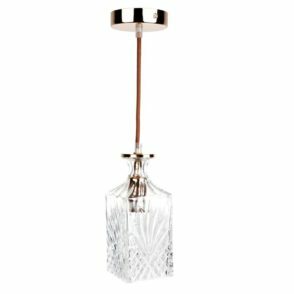 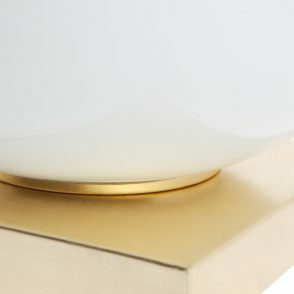 The antique gold centre pipe is featured through the glass base. 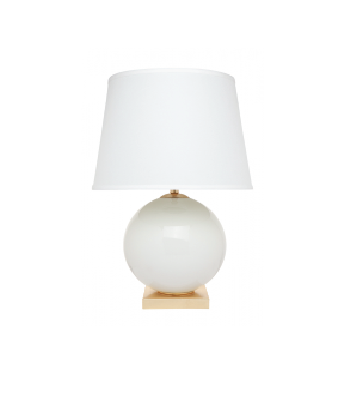 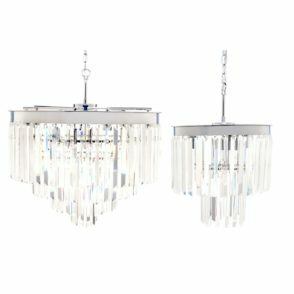 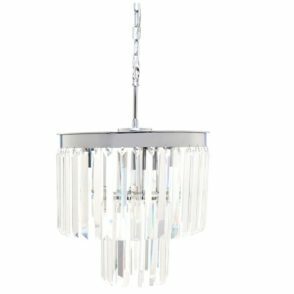 A tapered drum white linen double taped trim shade finishes off this lamp.